Little Pigs of America was a barbecue chain known which took pride in its “secret ‘n’ zesty” sauce. According to this article, they started in the early 1960s and went bankrupt in 1967, which means my 1966 NRA catalog was one of a select few to list the place. Scott Mills has been busy with his novel-in-progress, Supertsar, and the complementary graphic novel, Terrible: Tsar Ivan IV. Follow the Supertsars blog for more info. 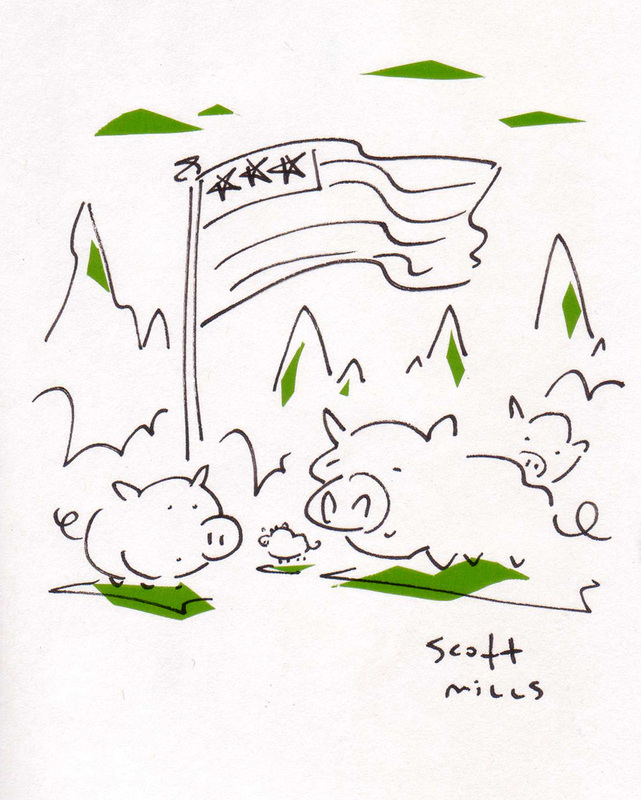 This entry was posted in '66 Nat'l Restaurant Association, Theme Sketchbooks and tagged Scott Mills. Bookmark the permalink.